Everyone knows that most foreign exchange trading now takes place electronically (75%), although big corporate traders still pick up the telephone when trouble lurks. Yet few appreciate the extent to which automation has gained a foothold in FX, the world’s largest market, in which participants trade more than $5 trillion daily. Dealers are in the early days of what promises to be an all-out arms race in algorithmic trading, or “algo trading,” according to Greenwich Associates’ 2016 survey of FX users worldwide. Only 13% of top-tier FX customers use algo models, but that proportion approaches 25% among the biggest FX buyers, and 30% among hedge funds. Meanwhile, bank traders are making widespread use of multidealer platforms, sometimes offering aggressive prices to gain market share. Nonetheless, single-dealer bank platforms still account for 20% of the trading by banks and hedge funds. 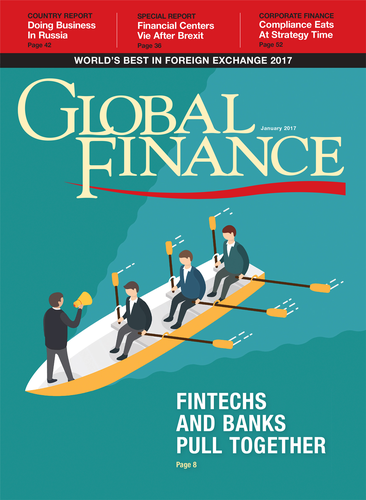 “Proprietary platforms give banks a means of retaining profitable trading volumes, so dealers are expanding these systems to provide a range of liquidity choices that enable clients to access the market in a variety of ways, including disclosed and nondisclosed liquidity, agency and principal trades, and links to exchange-based execution,” says Woody Canaday, managing director at Greenwich Associates. Banks are still major liquidity providers to the FX markets. They continued to support the markets when most algo programs were shut off during the volatile trading that followed the Brexit vote last May. Banks are also valuable sources of information and advice on currency-related issues, particularly for companies venturing into emerging and frontier markets, where constantly changing restrictions may apply. Meanwhile, the global FX industry is waiting to see how regulations will change next, now that it has finally adapted to the post-crisis world, defined by heightened reserve requirements and restrictions on trading. In the US, president-elect Donald Trump has called for a temporary freeze on new regulations. In the broader realm of financial services, it remains to be seen what will become of his promise to dismantle and replace the Dodd-Frank Act (2010) regulating Wall Street practices. A full repeal of the law seems unlikely, but there could be less-aggressive enforcement and a possible pullback of Volcker Rule restrictions on bank speculation in FX, according to a client alert from KPMG. The alert says there could be more-lenient treatment for domestic institutions than global institutions on international accords. In this, our 17th annual World’s Best FX Providers Awards, we’ve selected winners in 93 countries and seven global regions, as well as the best providers of FX research and the best providers of corporate currency hedging. With input from industry analysts, corporate executives and technology experts, Global Finance has selected the winners based on objective and subjective factors. Our criteria included transaction volume, market share, scope of global coverage, customer service, competitive pricing and innovative technologies. Decisions were further informed by provider submissions.